Sony has put up a new promotional website for its recently launched Xperia M4 Aqua smartphone. That said, this is anything but a normal such venture. 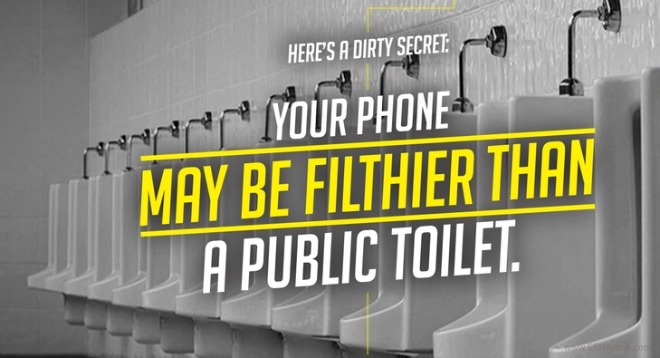 It’s called “Dirty Phones”, and focuses on, well, how dirty phones can be. Literally, that is. First, the company scares you with words such as the ones you can read in the image above. It claims that there are about 25,000 germs per square inch on the average touchscreen phone. Furthermore, according to “research”, 92% of handsets have bacteria on them, while ‘just’ 82% of hands can boast the same thing. 16% of hands and phones unfortunately have E.coli, a bacteria found in feces. Germs make their way to your device after handshakes, through sweat, cash, and other stuff you touch every day. There are things you can do, Sony says. You can use tissue paper to wipe your smartphone, use a UV light cleaner, or alcohol wipes. However, tissue paper may not be thorough enough, while alcohol wipes can cause screen damage, the company argues. And UV light cleaners are expensive and hard to find. So what’s the most adequate solution? Sony is glad you asked. 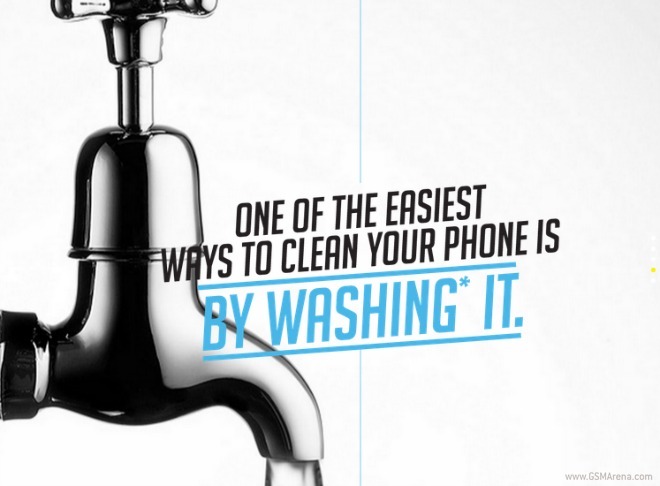 You just have to wash your phone, and all those pesky germs and bacteria will be gone. But you obviously need a washable phone for this, since otherwise you’ll damage it beyond repair. Handily, the Xperia M4 Aqua is washable, believe it or not. The fact that it’s water resistant is basically in its name. Sony even gives you some useful washing instructions, ensuring you do things the right way and do not lose your warranty. The full details are available at the Source link below.